There's a new contender for Japan's most innovative city. 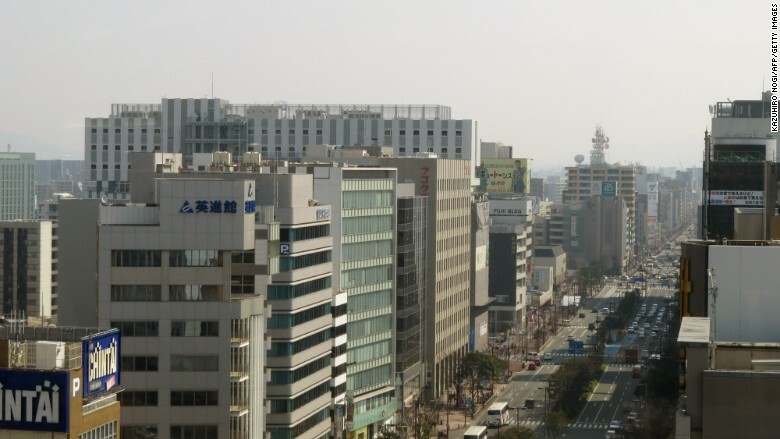 Down south on the island of Kyushu, Fukuoka is cultivating a budding startup scene. Home to 1.5 million people, the industrious port city welcomed 2,800 new companies last year, cranking out everything from social messaging apps to task-management tools. The growth represents a 7% annual increase in startups -- the highest rate among all 21 Japanese metropolises. And the number of startups isn't the only thing that's growing. In a country where most areas have an aging and shrinking population, Fukuoka is experiencing the opposite. From October 2010 to 2015, the seaside city saw a 19.5% growth rate for young residents between the ages of 15 and 29. Japan's youngest mayor in Fukuoka's history -- Soichiro Takashima, now 42 -- is the driver behind the city's ambitions to become a startup hub. He was just 36 when he assumed the role. "We can't just go with the flow," Takashima told CNNMoney. "We want to carve out a new era." A view of Fukuoka City, in the southern main island of Kyushu. At the moment, Japan's startup culture only makes up 4% of the country's companies. Takashima attributes this to high corporate tax rates, an expensive cost of living and low incentives for foreign investment. Plans for a change started in 2012 when Takashima announced the "Startup City Fukuoka Declaration." Since then, the government has streamlined bureaucratic hurdles, cut taxes for new businesses and made it easier to hire foreigners with a dedicated Startup Visa. The momentum can be seen via an uptick in collaborative coworking spaces. For example, Startup Cafe -- tucked away in the Tsutaya Bookstore -- is the center of the mayor's vision. The space, which is decked out in warm wood and communal tables, aims to provide entrepreneurs with everything they need. In addition to Wi-Fi, visitors have access to a dedicated concierge team. The cafe's multilingual staff regularly offers free workshops on topics like business models, prototyping, legal support, fundraising and visa support. It's offered more than 2,000 startup events, seminars and consultations since opening in 2014. 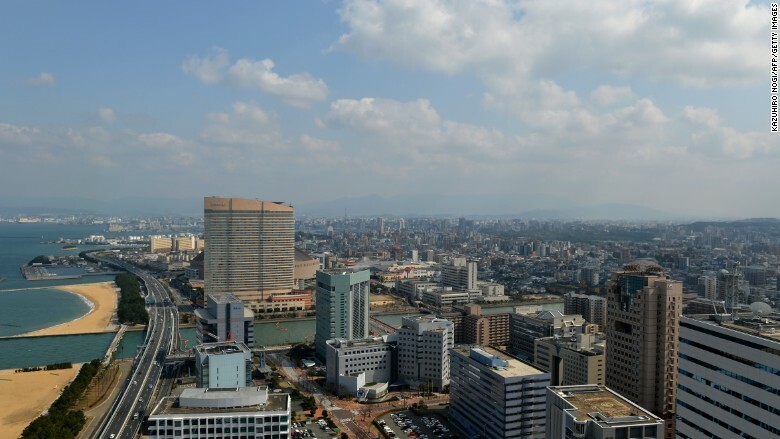 A downtown view of the port city of Fukuoka, aiming to be Japan's startup hub. "When you want to start your business, you can come here," said Thomas Pouplin, cofounder of Ikkai, a peer-to-peer platform that outsources tasks and posts jobs. "You're going to get a lot of advice on how to build a business plan and how to do your financial plan." Originally from France, Pouplin came to Fukuoka during business school as an exchange student. The new reforms have made it easier for foreigners to enter Fukuoka and start a business, he said. According to a 2012 Employment Status Survey, 12.3% of people aged 25 to 34 in Fukuoka have expressed interest in starting a business -- the highest rate out of 21 major cities surveyed in Japan. Several startups have already taken off in the region, such as Line -- a popular messaging app with over 700 million users worldwide. Its strongest user base is in Asia. 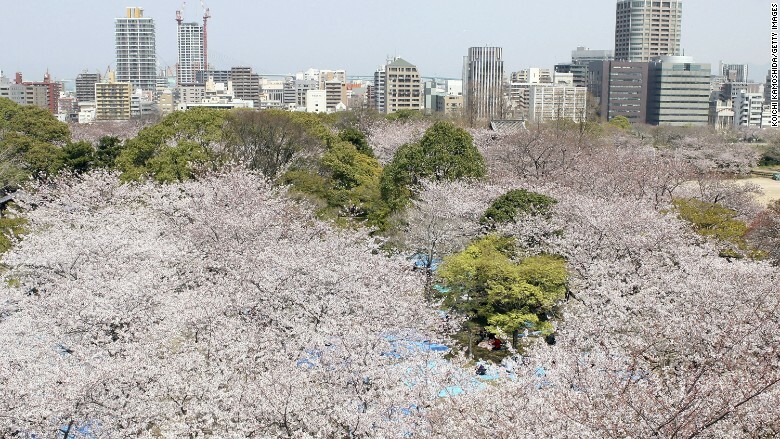 Cherry blossoms in full bloom at Maizuru Park in Fukuoka, Japan. There's also Nulab, an app suite that lets teams collaborate on online projects. It has more than 2 million users around the world. "In Tokyo and Osaka, people start businesses using a top-down model," Masanori Hashimoto, Nulab CEO, said. But Fukuoka doesn't have a strong hierarchical business environment. It's easier to make connections, collaborate on ideas and attract new talent, Hashimoto said. Livability is another crucial factor when it comes to growing a startup hub, Takashima said. "Seattle was the first city that inspired me," Takashima said. "I wondered why mega ventures like Amazon, Costco, Starbucks and Microsoft were born in a port town far from the capital." "I thought Fukuoka had a lot in common [with Seattle]." 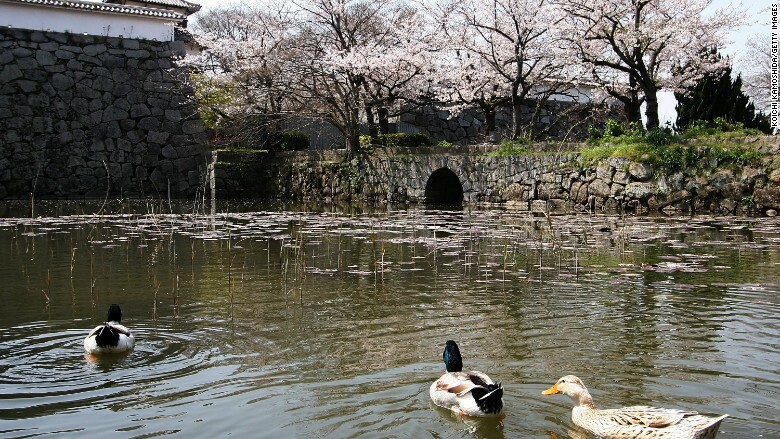 Cherry blossoms at the ruins of Fukuoka Castle in Fukuoka, Japan. Fukuoka was ranked no. 7 in the world by Monocle magazine as most livable city in 2016, due to its access to nature, transportation, affordable rent and culinary options. The region is also a short drive to hot springs, beaches and mountains -- a far less stressful environment than Tokyo. "Creating a company is stressful enough, but creating it [in Fukuoka] removes a lot of stress," said Yasime Djoudi, cofounder of Ikkai. "It makes you focused and creative, so maybe it's a recipe for more success."